The Pharos Arts Foundation in collaboration with the Goethe-Institut Zypern present a concert with the internationally renowned Amarcord Vocal Ensemble. Founded in 1992 by former members of St Thomas’s Boys Choir in Leipzig, the Amarcord has since become one of the world’s leading a-cappella vocal ensembles. Distinguished by their unique tone, breath-taking homogeneity, musical authenticity, and a good dose of charm and humour, the Amarcord has exceled in a vast and highly diverse repertoire of music, from medieval plainsong to madrigals and Renaissance masses, to compositions and cycles of works of the European Romantic period and the 20th century. For their concert in Cyprus, on Wednesday 23 November 2016 at The Shoe Factory, Nicosia, the impressive Amarcord will perform a unique programme of sacred and secular music of the English and Italian Renaissance, by composers including Thomas Tallis, William Byrd, John Dowland, John Bennet, Giovanni Gabrielli, Luca Marenzio and Orlando di Lasso. 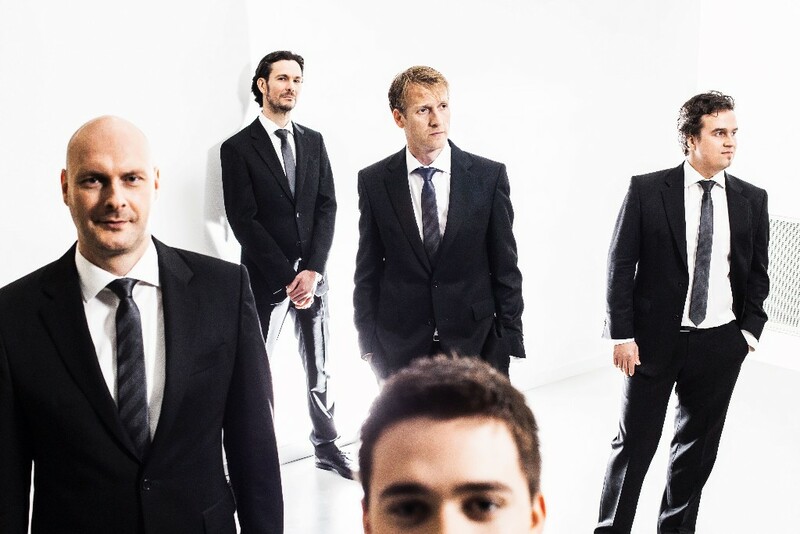 Founded in 1992 by former members of St Thomas’s Boys Choir in Leipzig, the Amarcord Vocal Ensemble has since become one of the world’s leading vocal ensembles. Amarcord’s hallmarks include a unique tone, breath-taking homogeneity, musical authenticity, and a good dose of charm and humour. Amarcord performs a vast and highly diverse repertoire of music, from medieval plainsong to madrigals and Renaissance masses, to compositions and cycles of works of the European Romantic period and the 20th century. Alongside the Gewandhaus Orchestra and St Thomas’s Boys Choir, Amarcord is now one of the leading representatives of Leipzig’s music scene in Germany and abroad. Amarcord regularly appears at important music festivals. Numerous concert tours have taken the singers to more than 50 countries and nearly every corner of the globe. In cooperation with the Goethe Institute, the ensemble has made guest appearances in Australia, Southeast Asia, the Near East, Russia, and Central America. Amarcord has won prizes at many international competitions, such as Tolosa in Spain, Tampere in Finland and Pohlheim in Germany, as well as the 1st Choir Olympiad in the Austrian city of Linz. In 2002, the ensemble won the German Music Competition, having joined the ranks of the BA KJK (the cream of young musicians singled out by the German Music Council for special support) two years beforehand. In 2004, Amarcord became the first group of singers to be awarded the Ensemble Prize at the Mecklenburg-West Pomerania Festival. Attending master classes with the King’s Singers and the Hilliard Ensemble has given Amarcord valuable stimulus over the years. Numerous CD recordings document impressively the many facets of Amarcord’s repertoire. The CD Zu S. Thomas with two Gregorian Masses from the Thomas Gradual of St Thomas’s Church Leipzig won the International Classical Music Award (ICMA) in 2013. In 2012, they were awarded their second ECHO Klassik (Ensemble of the year/vocal). Released in 2009, the CD Rastlose Liebe(Restless Love) received the ECHO Klassik Award, the Luxembourgian Supersonic Award and was nominated for the MIDEM Classical Award. This CD, like their previous CDs – Nun komm der Heiden Heiland (Now come, saviour of the gentiles), Incessament and Hear the voice – won the Contemporary A Cappella Recording Award, the "a-cappella-Oscar". In February 2010, Amarcord released its first CD production with an orchestral work: the reconstructed version of Johann Sebastian Bach’s St. Mark Passion, performed together with Dominique Horwitz and the Kölner Akademie. Together with Cappella Sagittariana Dresden two CDs have been released featuring the works of Heinrich Schütz and his contemporaries. Their CD of the J.S. Bach motets with the Lautten Compagney Berlin was released on the SONY/dhm label in 2012. The Programme will include: Sacred and secular music of the English and Italian Renaissance, by composers such as Thomas Tallis, William Byrd, John Dowland, John Bennet, Giovanni Gabrielli, Luca Marenzio and Orlando di Lasso.